"A new full-range driver and speaker system!" When you buy a small radio it has just one speaker in it. That speaker has to deal with all frequencies in music - and understandably it deals with quite a few by simply ignoring them. Your little MP3 speaker may have many tricks to make it sound 'bassy' but in reality it's nothing but illusion and you'll have no bass response at all. 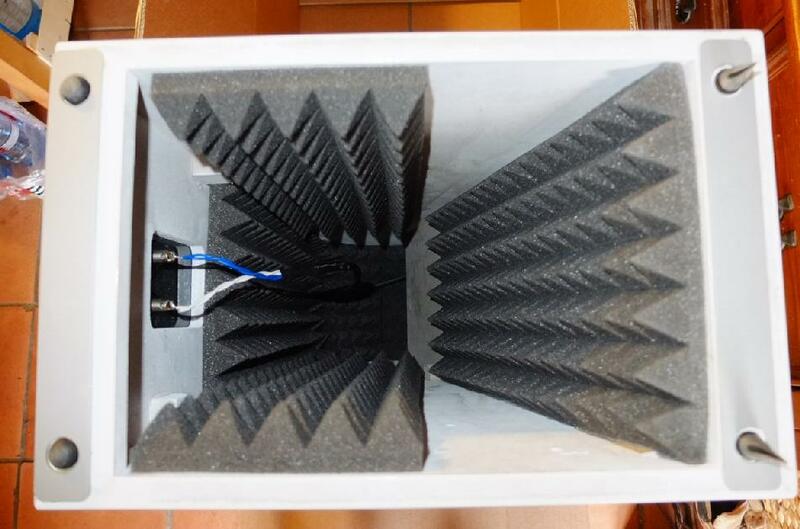 Of course as the speaker cabinet gets larger and the cone of that speaker gets a bigger diameter it will be able to shift more and more air at lower frequencies and thus produce increasingly deep bass - helped of course by the size of the box and tricks like port, or 'reflex' loading. All good so far, but as the speaker cone gets larger it also inevitably gets heavier and relatively less stiff so that it starts to struggle to move fast enough to produce the higher frequencies. Now the designer has a choice. With a bigger box there is now space to fit another smaller driver and rather than ask the one driver to handle all frequencies you split the signal using a crossover and send the high frequencies to the small driver (tweeter) and mid-low frequencies to the larger speaker (woofer). It's an added complication, you have to pay for an extra speaker, a crossover and design them to match as best you can - though as the two speakers are completely different and the affect of the crossover never totally benign there begins a battle of compromise and design to produce the best sound for the budget and size available. But if the designer is after keeping costs down he/she can choose a 'cheat' and that is to add a small cone to the centre of the main cone (a 'whizzer cone' - don't you love these names:-). Because the main cone is driven back and forth by a coil at its centre and there is a certain flexibility to that cone it happens that the centre of the large cone moves back and forth independently at high frequencies. Attaching a small 'whizzer' increases the affect and so can boost the high frequencies. No crossover, no extra speaker driver, just a little paper cone and job done. If you look at a lot of car speakers you'll see that the combination of cheapness and compactness makes this almost universal. A great low-cost solution. But look further into this and maybe there's more than just a cheap solution for cars and portable speakers. By eliminating extra drivers with different characteristics and their accompanying crossovers we could, in theory end up with a far less corrupted sound. But there's a snag - a cheap idea is not cheap when pushed to the limits... In order to really reach those high frequencies the cone has to be very stiff, and very light, and the magnet has to be very powerful, and the clearance between the magnet and the coil (the 'air gap') has to be very, very small so that the Magnetic Flux Density (sounds like something from 'Back to the Future') is as high as possible. This means precision engineering, high quality magnets, great care on assembly (tight clearances remember) and careful choice of the material and design of cone and whizzer. In affect these parameters are the equivalent to trying to match the drivers in a multiway system to their crossover - effectively the designer has to mechanically achieve a smooth transition between main cone and whizzer and make sure the frequency response then extends to the upper reaches of our hearing. To get that to work properly requires a lot of prototyping which in turn makes the result even more expensive. Because the full-range driver, if done correctly can have some serious advantages. Firstly is that a conventional multi-driver loudspeaker employs a crossover in order to split the sound frequencies for the two (or more) drivers. Putting inductors, resistors and capacitors in your fragile sound-path does nothing for the purity of signal, and that's assuming it's well designed. Then those two drivers are inevitably quite different (generally one or more cones matched with a dome tweeter) and to expect them to dovetail across two frequency ranges is asking a lot. A theoretically perfect full-range driver would eliminate all this. Then there's the 'point-source' argument. When music is recorded it goes into a point-receiver - the microphone (or pick-up) - if we can reproduce the music using a point source all the phase information will be preserved. It also means that as we move around a room (or just sit in different places) the sound will not alter as we move relatively closer to one drive unit than another. That should give a very stable and convincing sound 'image' - especially when listened to off-axis. I mentioned the 'age of cheap transistor Watts' - well lets go back before then - and even before high-powered valve amps to the pre-WW2 era when a 10 Watt amp was powerful indeed and most likely only used in your local cinema. At home (and here we're only talking about the very well off) you might have had a system producing well under 10 Watts and so to produce serious volume speaker efficiency was king. Looking back to those days we'll see speaker designs that today would seem seriously high end, most notably various horn enclosures as big as a wardrobe and sporting Voight/Lowther drivers very similar to those in production today. What was the point? Well remember that this was well before the advent of magnetic tape and the best performances were live radio broadcasts where there was no recording - just a direct feed from microphone to transmitter. This would then be transmitted via long-wave radio, but in those days the lack of radio stations meant that a wide bandwidth was available. I have no doubt that sitting in a large room with a hulking Voigt corner-horn listening to the BBC's 'Last Night of the Proms' in the 1930's would have been a magnificent experience. So as always "necessity was the mother of invention" and the engineering of both high-end full-range drivers and the various cabinets to optimise them (and incidentally the valve amp circuits to drive them) was brought to a head 80 years ago. Although we like to think we are always at the cutting edge, much of the equipment made in the 1930's is very much hi-fi and what designers and manufacturers have been doing ever since is fine tuning the principles established by our great-grandfathers. You'll note the names Lowther and Voigt above and these two Englishmen (Voigt's parents were German) are amongst the most important of the age. You can still buy Lowther drivers very similar to those made 60 years ago and the principles of things like Tractrix horns, Voigt pipes and TQWT (Tapered Quarter Wave Tube) speakers were established by them. Many hifi enthusiasts would kill for a pair of Voigt corner-horns and reproductions are still manufactured. Which brings us (at last) to the subject of this review - Cube Audio's 'Bliss A' speaker and the driver it contains - the FA8 driver. Straight off it's obvious that Grzegorz Rulka of Cube Audio worships at the same alter as the masters of yesteryear. At a glance we have a classic 'Lowtheresque' speaker - a lightweight paper cone and whizzer, a foam surround and with an aluminium basket. The faceplate is a rounded-off square and it's the classic 8" size though a wider than usual foam surround reduces the radiating surface a little. Looking more closely at the cone it is obvious that there's considerable coating on the paper to give an almost 'glittery' appearance and this is apparently to completely seal the paper against moisture. Everything you can see is immaculately put together, and although that shouldn't really matter, knowing how critical assembly and precision is on such a driver, that quality does give confidence. This basket supports the drive magnet which is large without being the pineapple size of the Alnico magnet of my Loth-x drivers (out of production for 15 years). Size isn't everything though, and the combination of ferrite and neodymium magnets gives a flux-density of 1.9 Tesla - about what Lowther achieved in 1949 (which is a compliment by the way;-). The coil is under-hung through-out its operating range (so the coil never moves out of the magnetic field) and the x-max (how far the cone can travel) is +/- 2mm - not a lot for a conventional driver but twice what you'd get from most Lowthers - that alone means they are better able to work cabinets like a ported box (if not ideal). Efficiency was said to be 92 dbl and the impedance curve ideal for low-powered valve-amps never dropping below 10 ohms. This all adds up to a beautifully made alternative to Lowthers and various similar speakers (though the field is a small one) and at a very competitive price. They also look to be a little more compatible with cabinets other than true horns - but more on that later. These slipped out of their packing case - gloss white and like the drivers powering them they looked immaculate. White isn't an easy colour to get right, but they looked superb. In size they were what I'd call 'medium floorstander' which meant that they were dwarfed by my own Loth-x Polaris. I was told to excuse the finish as they were pre-production and had done a fair bit of travelling - I can't imagine how they could be improved. The binding posts were excellent and in my mind I priced them around 5000 Euro (I had no idea of their cost) from a material point of view. But that's not a criticism - as I've intimated, a speaker of this size is better off being a TQWT and they have some very interesting characteristics of their own. Generally they are a little less efficient than the equivalent horn and produce bass that rolls off earlier but much more gently - whereas a horn can be built to measure reasonably flat to the point where the horn reaches its lower limit then plunges like a buzzard shot with an Uzi a TQWT will gently lose bass so that there is still decent output at 40 Hz. Theory is all well and good, but in the case of the Bliss they fulfilled exactly what I would expect from a perfectly executed TQWT... The Polaris exhibited the expected lead in bass speed and punch that the horn gives, and it just sounded bigger. But in every other respect the Bliss sounded very similar - similar detail, fabulous imaging and so-on. Efficiency was well below the Polaris' 103 dbl but that's to be expected - I would guess it to be mid 90's at best. But most important of all I sat for night after night listening to the Bliss without desperately wanting to go back to my Polaris - they really were that good. 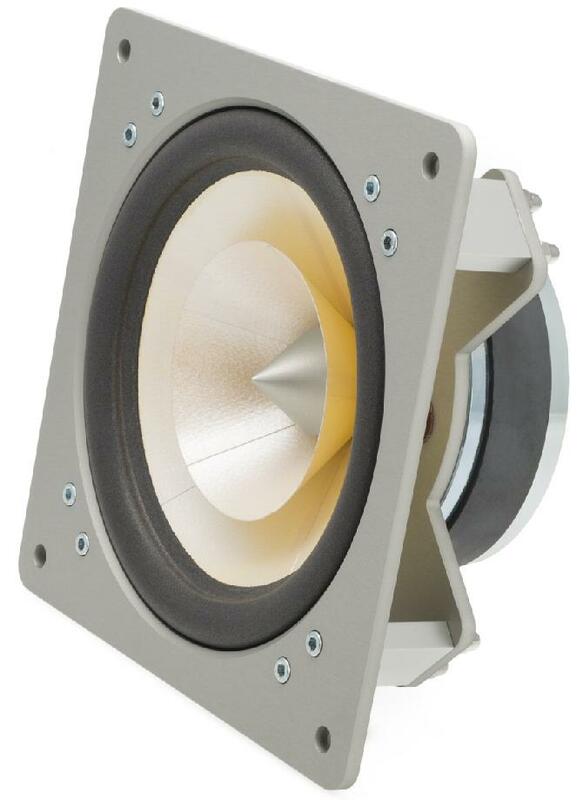 Some ported speakers will kid you that they've got good bass by having a hump around 80 Hz or so- which is all well-and-good unless that bump coincides with some room resonance or a weakness in your system (like a resonance in the turntable or support). Having such a clean bass roll-off means that you are less likely to have room problems, and if your room is plagued with resonances then it can make them much more bearable and the bass-light presentation is soon adapted to. Small box speakers - especially sealed - will also pull this trick but they lack big box dynamics. My room is relatively 'dead' acoustically and so now I started playing with positioning. Again the smooth roll-off means that you can start using wall or even corner placement to boost bass with less chance of producing a boomy swamp monster. And so it proved. In the end I compromised and found that having the Bliss placed 50 cm from the corners of the room lifted the bass considerably without sacrificing the excellent imaging. I also toed them in to cross-over 1m in front of the listening position and this kept the response very even and allowed a special trick only good single-driver speakers seem to pull off. Because the treble is more directional than a conventional speaker, by crossing them in front of the listening position you lose a little treble. Now if you move to your right say 1m, the output of the left-hand speaker will increase (as it's now pointing right at you) and the right-hand speaker (which you've moved towards) will actually lower treble output. If you've got the crossing point right (and you need to experiment) this produces the amazing illusion that the image remains dead centre of the speakers even as you move off centre. Not only that but it seems like you are looking into a 3d image from the side - it's quite striking and I often prefer this off-centre position. That the Bliss pull this trick is high praise especially as it shows such good control of phase. In my living-room system I use a subwoofer set to low level and rolled off quickly above 50 Hz just to bolster the Polaris' output. Again the Bliss clean bass roll-off made it very easy to integrate the sub (with the cut-off a little higher and slightly higher output) and this really worked well. 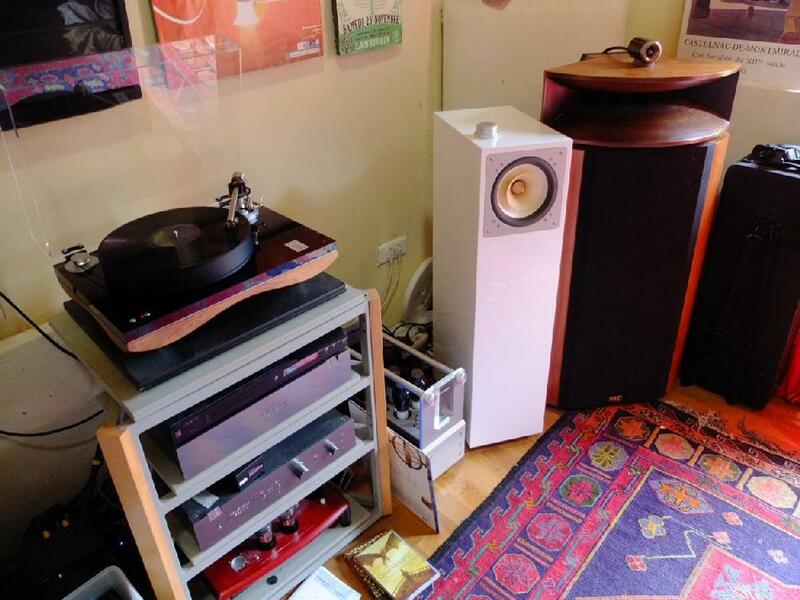 But for various reasons (not least domestic) pulling apart the living room system for every review is 'unpopular' so now the Bliss were taken into our 'music room'. A glance at the picture will show that once again the Bliss were up against a hulking great floorstander, in this case the Opera M-15 - large and classic looking speakers sporting a 15" bass driver and a beautiful flared horn loading a compression driver - a rather 'pro' set-up but one which has been used in many, often vintage, domestic speakers. Of course again the Bliss were in a large room - this time not only bigger than the living room and 6x8m but lacking a flat ceiling - rather rising up to the peak of the roof. This is a lot of air to move and most speakers sound lost in it, the Acuhorn, a speaker with similar pretension being just one that didn't work. And yes, back-to-back the Bliss did initially sound small and a bit 'lost' in the room. But as I became acclimatised I began to appreciate that the Bliss wasn't 'lost' at all. It's not designed for such a volume and will never give the dynamics of a 15" driver, but once again I fell for it's excellent detail and an imaging that whilst less bold and brassy than the M-15 nevertheless managed to produce an extremely stable 'hear-through' soundstage without a hint of artificiality. The bass was again fast and tuneful so long as you didn't expect it to rattle your fillings. And - once again - bringing in a small subwoofer made up for much of this without destroying the integrity of the sound. This is where the Bliss, and speakers like it start to show why some enthusiasts champion their design compromises above all others. The M-15 are wonderful full-blooded speakers, but despite the fact that their compression driver covers a far bigger range than most drivers the difference in presentation between the horn and 15" driver was plain for all to hear. The Bliss exposed this most dramatically in female vocal - where they simply produced an utterly convincing portrayal of a human voice the M-15's had a 'shout' in the mid-range and a relative wallow in the bass. Woodwind like jazz clarinette and especially piano further demonstrated just how good the Bliss was. Cranking up the volume really got the TQWT working so that at times it made the M-15's sound a little laboured though obviously their dynamic headroom and ultimate volume were greater. The amplifier used was the Opera 300b PP and there was of course masses of power in reserve, but swapping to the little 2 Watt Yamamoto running 45's in single-ended mode still gave decent volume. In a more conventionally sized room the Yamamoto + Bliss would be a fine pairing for normal (non-hearing damaging) levels. So with two very different rooms and systems how can I pin down what they do? In a way it's easier to pin down what they don't do. They are extremely even across the frequency range. Once you get past the slight bass lightness they lack the mid-range peak that plagues some full-range drivers and the treble then extends smoothly and evenly right up to the limits of hearing. Subjectively there are no 'humps' to destroy the illusion of real music. It's the case that the human ear quickly adjusts to a tilted balance (bass-light for example) but that it cannot for unevenness. The use of the single driver gives a seamless tonal transition from low to high - you don't feel that you can hear a tweeter kicking in, or that high percussion (cymbals etc) are coming from a different place to the rest of the music. Dynamics are good and improve with volume (dynamics and volume aren't the same thing;-) - the box seemingly needing a little volume to really come to life, but this is at a level that most of us would call reasonably gentle listening, at background levels it inevitably collapses into the box a little but that's hardly a problem for music lovers. At higher levels the speaker copes well up to the point where compression rears its head, but it does this gracefully without causing offence. This all round ability is most obvious with the human voice because we all know exactly what it should sound like. Nothing tests a speaker system like female vocal, many simply sounding artificial or just 'odd' - the Bliss is right up with the very best in this respect. Natural, unforced and producing an image that is 'human sized'. Taking something that is relatively un-processed - Norah Jones is something most of you will have - is quite an eye opener, and of course the Bliss will show where her voice isn't just closely harmonised, but also which of the harmonic voices have been overdubbed and even how many times;-) it's this sort of insight that often gets lost in more conventional speakers and which gives a real texture to a performance that means you want to listen over and over to catch tiny nuances. Would it be the first speaker for heavy-metal? No. Nor would it be my first choice for Wagner at high levels, but it will do a reasonable job of both especially if subtly backed by a quality subwoofer. All in all it's a fine all-rounder, but some things it will do exceptionally as I've pointed out. Such an ability in one or more areas, with no real weaknesses makes them a stand-out for me. The Cube audio Bliss is the finest small (ish) single-driver speaker I've heard and by a comfortable margin. It vindicates the use of the TQWT and offers all the advantages of the single-driver layout with very few of the disadvantages. 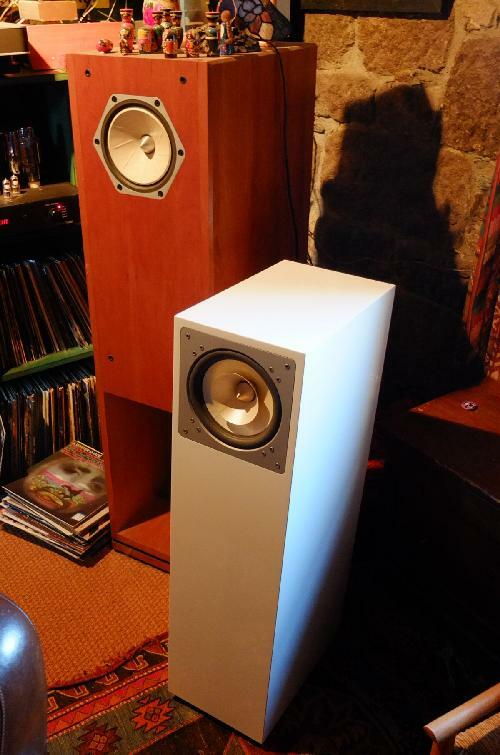 It worked very well in my two listening rooms although both are larger than ideal - in a smaller room, where something like the Polaris is both impractical and probably overblown - the result would have been even better. For music I actually preferred them the the M-15's even in my barn of a living room. For those already wedded to the idea of valves and full-range driver they offer more confirmation of the abilities of the concept and many with smaller rooms (say 5x5m and down) will find little at any price to better them. Compared to conventional speakers conclusions are more difficult. 5000 Euro can buy a lot of conventional speaker - both extremely large with multiple drivers, or smaller with very high quality drivers and crossovers like the Trivox I tested a while back. Personally the smaller speakers offer nothing that the Cube can't do better and because the Bliss is happy relatively close to a wall it can actually take up less space than a small stand-mount. Larger multi-way speakers are a different kettle of fish and will offer power handling, sheer volume and 'slam' well beyond that of the Bliss, but at the cost of being well behind when it actually comes to making music - in particular if you plan to spend hours listening rather than just having a 30-minute party. As I mentioned above the design also works really well with a subwoofer as its very smooth bass roll-off allows you to integrate a quality sub without humps and resonances. The caveat being that the sub needs to be high quality and very 'fast' - some refugee from a cheap home-cinema will sound like Barry White and destroy what you are trying to do, which is merely to tickle the lowest frequencies up a little. Something like my REL Stadium might seem overkill, but the flexibility of its crossover settings made it ideal. Lots of companies buy in high-quality drivers from people like Lowther, Fostex, AER and the like and of course nothing wrong with that. But what Cube Audio have done is not only release a new speaker system but a new driver which is available to other manufacturers and the home builder. That it has characteristics that make it more widely applicable than the Lowther (greater x-max being just one) will be exciting readers who have a jig-saw and a bit of time on their hands. In fact I've long pondered making a large full-range horn and the Cube FA8 driver would be ideal. Not only that but Cube Audio have ambitious plans for other drivers and already produce a second driver - the FC8 which is supposed to be even better and I hope to have a pair for comparison soon (watch this space). With that in mind a more technical review of both drivers will follow.